This notable date goes to the New England states and especially related to the patriots of the American Revolution. Today it is an official holiday from work and school for the New England states – Massachusetts, Vermont, Maine, Rhode Island, Connecticut and New Hampshire. 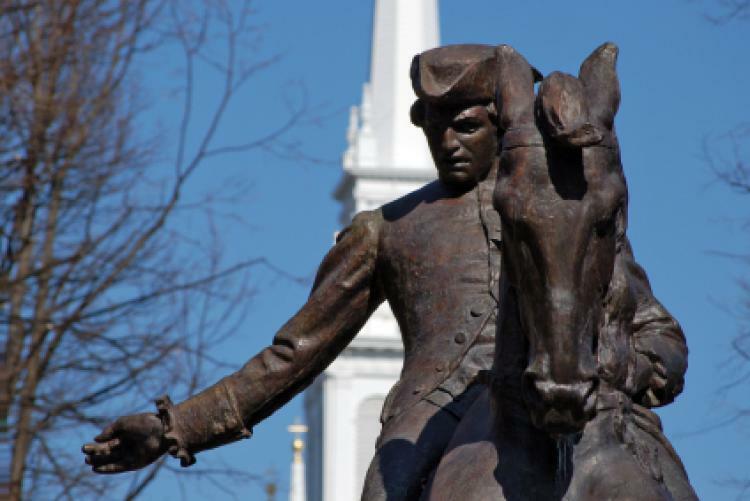 It does not mean other states in the nation don’t also recognize ‘Patriots’ Day’, many do. 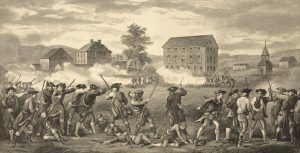 A big event done in Boston on Patriots’ Day is the long-time Boston Marathon, begun April 19, 1897 – every Patriots’ Day. 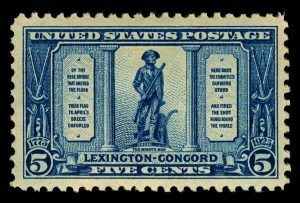 Another tradition since 1959 is a home baseball game in Boston’s Fenway Park by the Boston Red Sox team on Patriots’ Day every year. Now, this is not the same as ‘Patriot Day’ recognized every September 11th. Also known as 9/11 day, it recognizes those who were injured or died in several locations during the terrorist attacks in the United States in 2001, including the many first respondents (firemen, police). 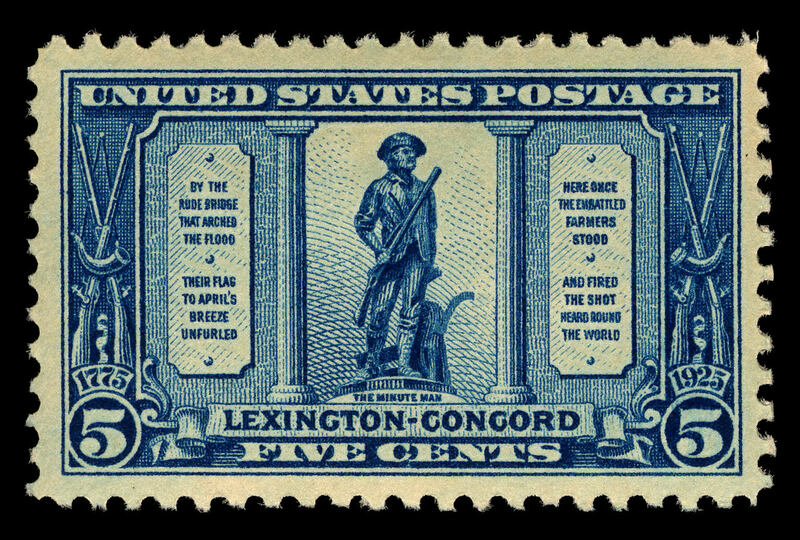 Photos: Statue of Paul Revere; Battle of Lexington and stamp from 1925 of the Battle of Lexington & Concord.